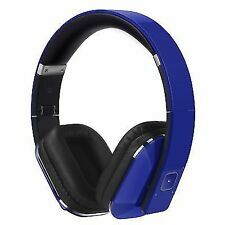 August EP750 Active Noise Cancelling Wireless Bluetooth Over-Ear Stereo Top .Shipped with USPS Priority Mail. Includes: headphones and Audio Cable only. Noise canceling rate: ≥ 90%. And they usually don't have English instructions. 100% Authentic Item I provide. 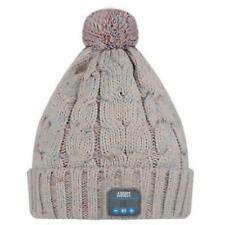 Length: 120 cm. Duration 1-2 weeks. Not available to Australia, Greenland, Denmark, Germany, Norway, Hungary, Finland, Poland, Korea, Vietnam etc. 1xAugust EP750. 1xCase for EP750. Connection via its Bluetooth 4.1 chip is swift and simple, you'll have them connected to your smartphone or tablet in seconds and no wires. For mp3 players and PCs without Bluetooth, simply hook them up with the provided 3.5mm cable for instant listening. Bluetooth Wireless Headphones – Listen to audio from smartphones and tablets, NFC Connection - Simply tap your NFC enabled device to pair the two together. Bluetooth Wireless Foldable Over Ear Stereo Headphones - Red. Bluetooth V4.1 Wireless Headphones with NFC and aptX Technology. These Bluetooth wireless headphones combine comfort, quality and convenience with a great sound quality. 12mm ear piece cushions and an adjustable headband provide superior comfort for extended wear. These Bluetooth wireless headphones combine comfort, style and convenience with a sound quality that demands to be heard. With 40mm driver units, lows are clear and rich whilst highs and trebles stay well defined and sharp. Looking for a good pair of headphones?. Look no further than the CB3 Hush ANC Headphones. These headphones were built to impress! CB3 AUDIO MISSION CB3 Audio was started because we believed great audio products didn’t need to cost an arm and a leg. Mini Radio Clock, Bluetooth Speakers MP3 Stereo System Portable with Powerful Bluetooth Speaker- FM Alarm Clock Radio with Card Reader, USB and AUX in (Micro USB) Black (SE20). Bluetooth v3.0 Speaker System - Play Music Wirelessly from Bluetooth Devices. Mini Radio Clock, Bluetooth Speakers MP3 Stereo System Portable with Powerful Bluetooth Speaker- FM Alarm Clock Radio with Card Reader, USB and AUX in (Micro USB) Black (SE20). This mini Stereo System plays music wirelessly from any Bluetooth device. [Bluetooth useful for smartphones]: Bluetooth version 4.1 support. High-quality Bluetooth compatible wireless headphones that can be wirelessly connected from smartphones such as iPhone and Android. [Set contents]: 1 × noise canceling headphone EP 735, 1 x 3.5 mm audio cable, 1 x USB cable, 1 x conversion plug for inside aircraft, 1 x exclusive storage case, 1 x Japanese instruction manual, 12 months relief security. By the built-in high-sensitivity microphone, hands-free calling is also possible. Button of the incoming / final story is ready also music play / pause function of the smartphone. [ Release Date(yyyy/mm/dd) ]. With built-in high sensitivity microphone, hands-free calling is also possible. The incoming / ending button also has music playback / pause function of the smartphone. Batteries required: no. Headphones - August EP650 Wireless Bluetooth with NFC, aptX LL, Mic and more! 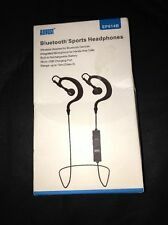 August EP650 - Wireless Stereo Bluetooth Headphones. Supports aptX Low Latency. Bluetooth v4.2 & NFC. Hands-free calling with Integrated Mic. However,I will provide courteous and responsive service. The products in Japan are very precise and the quality is also very wonderful. | By the built-in high-sensitivity microphone, hands-free calling is also possible. | Button of the incoming / final story is ready also music play / pause function of the smartphone. ☆Release Date. 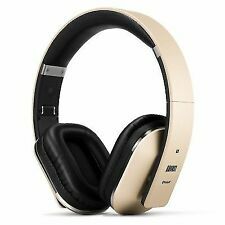 August EP650 - Wireless Stereo Bluetooth Headphones. Supports aptX Low Latency. Bluetooth v4.2 & NFC. As a proof of that, Toei 's Golden Sticker is put on the product. We would like to have people around the world use this wonderful product for sale. Item model number: EP640. 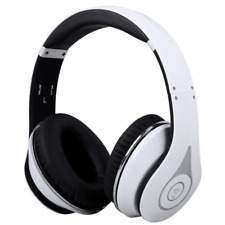 Color:White/Sliver Bluetooth V4.0 Wireless Headphones with NFC These Bluetooth wireless headphones combine comfort, quality and convenience with a great sound quality. 12mm ear piece cushions and an adjustable headband provide superior comfort for extended wear. August EP636 - Cordless Wireless Headphones Bluetooth Headset with Microphone,Black. 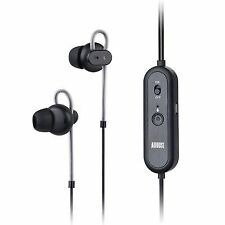 August Audio App Enabled Use the dedicated Android or iOS 'August Audio' Application to tune these Bluetooth headphones to your liking. Qualcomm CSR aptX LL Watch TV wirelessly with zero perceptible lag between sound and image (aptX TV or transmitter required). Bluetooth V4.1 Wireless Headphones with NFC. Bluetooth Specification: Bluetooth V4.1 NFC. These Bluetooth wireless headphones combine comfort, quality and convenience with a great sound quality. 12mm ear piece cushions and an adjustable headband provide superior comfort for extended wear. Comfort, Style and Sound These Bluetooth wireless headphones combine comfort, style and convenience with a sound quality that demands to be heard. With 40mm driver units, lows are clear and rich whilst highs and trebles stay well defined and sharp.